Blogger Abraham Mutai recorded a statement at Ngong Police Station earlier today, seeking protection after he received threats from one of Prophet Owuor’s followers. The blogger was among those questioning the Prophet Owuor’s following at his Saturday Crusade and why he had state-like protection but this did not sit well with some of the Prophet’s followers. One of them even went to the length of inboxing him to let him know that he’s in danger for not believing in Prophet Owuor. The blogger has declared that if anything was to happen to him then Prophet Owuor should be directly held responsible. Next article Cultism vs Religion: Is Prophet Owuor a Cult Leader? 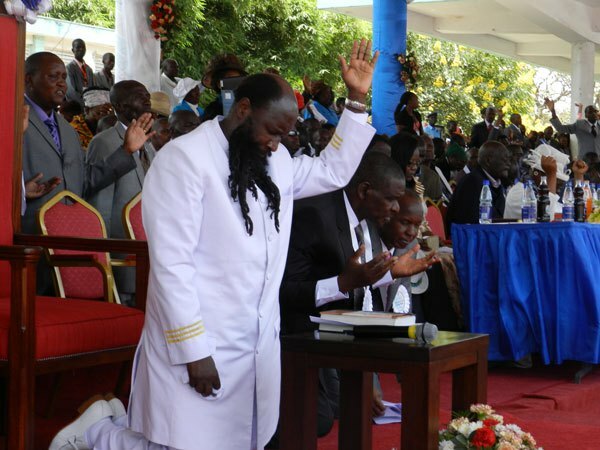 Cultism vs Religion: Is Prophet Owuor a Cult Leader?